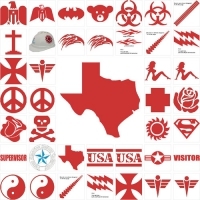 Safety Awareness Safety Products | Texas America Safety Co.
Texas America Safety Company has a great assortment of Safety Awareness Products. Being visible is one of the most important aspects of personal safety. 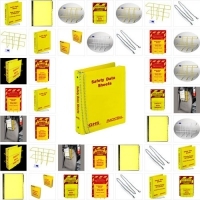 So, we have created a complete section for our Hi Viz Safety Clothing which includes hard hat mesh covers, neck shields, sunshades, reflective stickers and more. 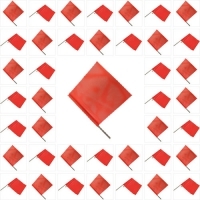 We also have our safety flags, safety triangles, pop up safety cones; as well as, rolls of caution tape and red danger safety tapes in this area. When it comes to personal safety, it’s important to be visible. If other people can’t see you, then the odds of a tragic accident occurring are much greater. Fortunately, we carry a number of different safety awareness products, and these products are very effective at increasing visibility. On this page, you can choose from nine different product categories. 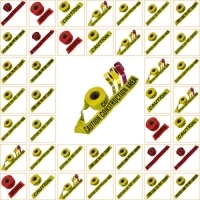 Our barricade tape category contains bright red and yellow tap. Each roll of tape has a width of three inches and length of 1,000 feet, so a single roll offers plenty of tape for construction sites, danger zones and police investigations. 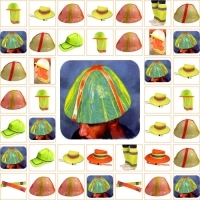 If you need high-visibility neck shields, mesh covers and hats, browse our category for high-visibility accessories. Our MSDS section contains products that are great for storing material data sheets and similar documents. We carry MSDS stations, racks and binders. 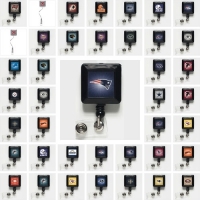 We have NFL badge holders that can be used to secure your I.D. while showing love for your favorite team. Our reflective decals can be applied to mail boxes, motorcycle helmets and hard hats, and they help to make bright items even more visible. 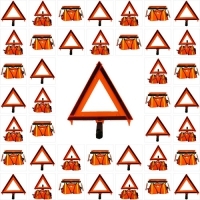 We have safety flags made from bright orange material, and they’re commonly used by forklift drivers, parking lot attendants and construction crews. You should never end up stranded on the side of the road without our safety triangles. We stock single triangles and full kits. Our safety popup cones are available in several different sizes, and they don’t require anywhere near as much room as a standard PVC safety cone. 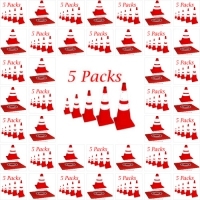 Purchase our safety popup cones in packs of five or individually. 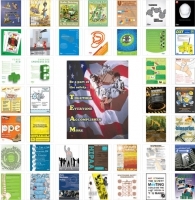 If you’ve been looking for a way to encourage safety in the workplace, consider our selection of safety posters. Our safety awareness products are designed to increase safety through better visibility, and we have useful products for any situation.